Welcome to Igbopeople.org.! We are a team of genealogy enthusiasts who wish to help Igbo families and genealogists in their family history research and preservation. 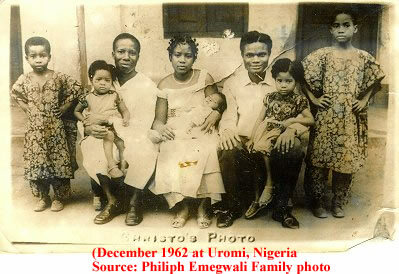 We document Igbo people’s genealogy and family trees. our goal is to bring all of those Igbo genealogists together into this central location to share their research with their peers and preserve their ancestral lineage. On this page, we present the results of our research on Igbo family branches and other related trees from Efik, Ibibio, Annang, Ejagham and Eket as well as Ibeno and Ijaw with some sidelines. The data of Living persons, who were born less than 100 years ago, as well as all picture files, notes and sources, are only displayed to registered and authorized users. Only members have full access to data, images, sources, etc., of the site. If you are interested in having an account, please click “new user account“. or click on login link at the top, then request a new user account, and Please indicate your family relationship with the data presented here or the reason for your interest and why you want to become a member. Where the Igbos migrated from has not been proved beyond reasonable doubt. The ancestry of the Igbos has bothered many people for a long time. Many historians, philosophers, sociologists, archaeologists and anthropologists have raised a lot of dust on this issue. A lot of views have been proffered but yet the origin of the Igbos remained a mirage. Look for the leaf -The leaf is a hint—it means we’ve found something intriguing that may match your ancestor. View the hint, and save it to your tree -The hint could reveal a new name to search or even a new ancestor to add to your tree. Watch your family story emerge -The more you add, the more hints you get. And gradually your family story becomes clearer. Birth 2704 BCE (-2704) 182 216 — Out Of Eden, before the Flood. For technical support or genealogy questions contact Anthony-Claret Onwutalobi. This page has been viewed 4669 times.